Parker’s annual New Year’s weight-loss resolution finally became a reality this year, thanks in part to finding a variety of workouts she can do from home, in 30 minutes or less, during her daughter’s nap time. In seven months, she lost 73 pounds and is never going back! “I started my journey as a New Year’s resolution. I have made a New Year’s resolution to lose weight every year since I graduated high school, but I never really committed to it until now. I was almost six months postpartum*, at my highest weight ever, and as a working mama, I didn’t have time to go to the gym. What attracted me to Beachbody On Demand was the ability to have access to every single program that Beachbody offers. I had tried at-home workouts in the past but quit after the first month because I got bored. Being able to switch up my workouts on BOD helped with my commitment and consistency. I look forward to my 30 minutes of ‘me time’ during my daughter’s nap time! It’s so convenient! 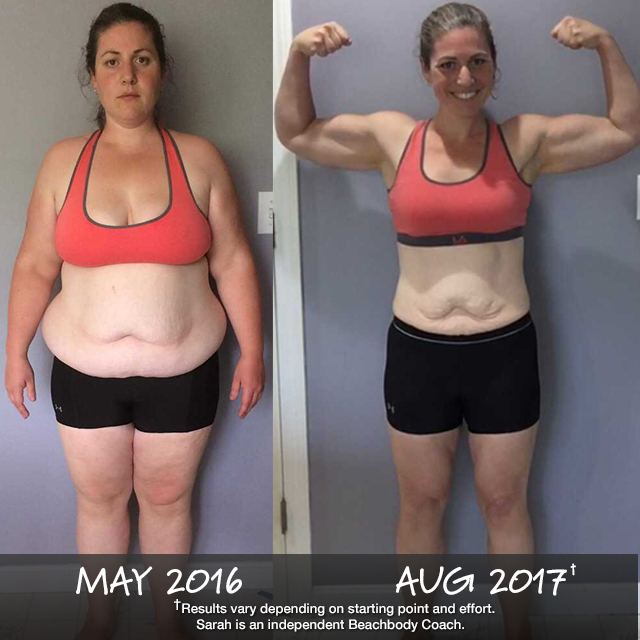 Support and positivity from the Team Beachbody community were the secret ingredients for Sarah; they kept her committed to a variety of programs on Beachbody On Demand, with which she ultimately shed 80 pounds! “Most people think I work out all the time. They can’t believe it when I say that it’s usually just half an hour in my living room six days a week. Beachbody On Demand is by far the best value out there! And being part of a Challenge Group and the Team Beachbody community supported my efforts to get healthy in every possible way. From the positive support from other challengers/Coaches, to resisting temptation together as a united front, the Challenge Group format allowed me to achieve what would not have been possible if I did it alone. It’s amazing what can happen in a year! 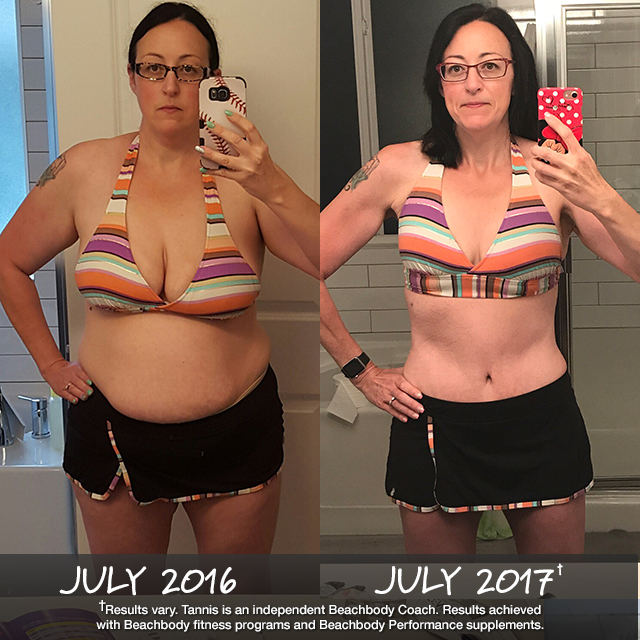 Tannis dropped her excuses and made time for quick workouts on Beachbody On Demand. Now, at age 42, this mom of three can proudly wear a bikini for the first time in 20 years! 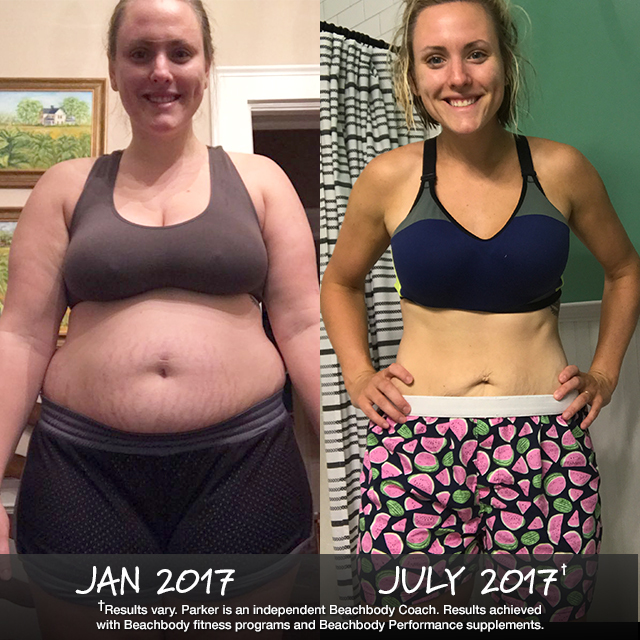 “At 42 years old, I can climb mountains, run races, and keep up with my three toddlers under the age of three, and I love it!… One year ago, I decided it was time to get healthy, fit, and positive for my family — and me! No more dammed excuses! I kept telling myself that I didn’t have time. Then, I saw an ad for 21 Day Fix and thought all I have to do is wake up half an hour before the kids and get it done! At first, it was hard, not going to lie, but soon it became part of my daily routine, as it still is today. 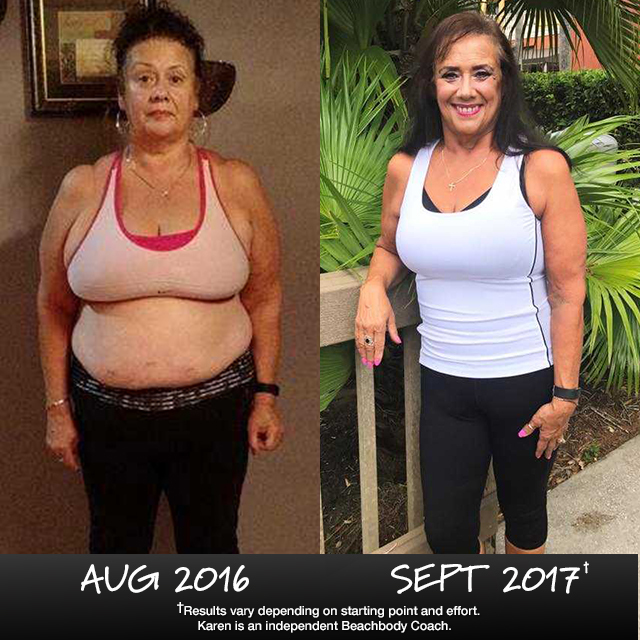 Inspired by the award-winning transformation of her daughter, Carmen O’Quinn, Karen embarked upon a fitness journey of her own, and at age 61, she lost a life-changing 148 pounds! “Before Beachbody, I was morbidly obese and struggled to get around. My daughter, Carmen, was working out using Beachbody programs, lost 161 pounds, and she went on to win the $100,000 Beachbody Challenge Grand Prize in 2016. That August, I made the commitment once and for all. My daughter inspired me, she loved me hard, and she helped me begin my journey. I started with FOCUS T25, then moved on to P90X3, CORE DE FORCE, and Body Beast. My results from using all these programs have been amazing. To date, I have lost 148 pounds. I feel great, confident, proud, and energized. There was always a strong gal living inside of me. I would lay awake at night and just wish that I could change how I looked. *Consult your physician before commencing any fitness or nutrition program while pregnant or post-partum.